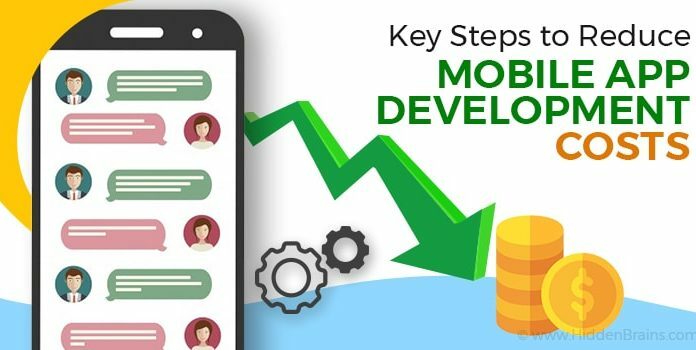 The end result of software development efforts in the delivery of the product which satisfies user requirements and provides the desired output. But, this statement seems incomplete. Rather it should be, ‘...product which satisfies user requirements and provides the desired output continuously’. The product is expected to change or evolve with time, delivering incessant output. Defects are uncovered, operating environments changes and new user requirements surface only when the product is in operation. Software maintenance or product maintenance process is one important part of a software life cycle. The need to integrate product maintenance or software maintenance is increasing with time. A few years back, it had failed to receive the same degree of attention that the other phases had. As far back as we remember, software development has had a much higher profile than software maintenance in most organizations. It can be termed as the totality of activities that are needed to provide cost-effective support to the product or software. These activities can be performed during the pre-delivery stage as well as during the post-delivery stage. Activities can include but are not limited to, ops planning, maintainability, logistics determination for transition activities, software modification, training, and, operating or interfacing to a help desk. Why is there a need for product maintenance? Maintenance is vital in ensuring that the software continues to meet user requirements. Maintenance is applicable to software developed using any existing product life-cycle model like spiral or linear. These software products change due to corrective and non-corrective software actions. Most importantly, maintenance is vital in correcting faults; improving the design; implementing enhancements; interface with other software; adapt programs so that different hardware, software, system features, and telecommunications facilities can be used; migrate legacy software, and retire software. Corrective maintenance:- The activities are destined to correct the defects to be found in the different equipment and that are communicated to the maintenance department by the users. Time-Based Maintenance:- This maintenance consists of a series of elementary tasks like data collections, visual inspection, cleaning, lubrication, retightening screws and a plethora of other things for which no extensive training is necessary. Predictive Maintenance:- It requires one to consistently know and report the status and operational capacity of the installations by knowing the values of certain variables, which represent such state and operational ability. Physical variables like temperature, vibration, power consumption are crucial and must be taken into consideration for this case. Predictive maintenance requires technical expertise and precision. Preventive Maintenance:- Is applied in order to maintain a level of certain service on equipment, programming the interventions of their existing or seemingly possible vulnerabilities in the most opportune time. In preventive maintenance, the equipment is inspected even if it has not given any symptoms of having a problem. Increased competitiveness calls for more productive output for companies. In order to stay productive, companies need to perform efficiently round the clock. And, round the clock efficiency can only be achieved if each and every aspect of an organization is working in perfect harmony. This can only be assured with correct product maintenance process. If you have ever hosted a website on WordPress, you probably might have faced the dilemma of choice when it comes to plugins and templates. WordPress contains plugins and packages in plentitude. Currently, WordPress powers more than 26% of the websites on the web. It is still by far the most used CMS with a whopping 59.4% market share. Interestingly, there are over 500 sites being created on WordPress on a daily basis. These stats are nothing short of astounding. Now, when it comes to content, there are not many plugins can do in terms of creating it. Or can it? Quality content goes a long way in SEO and this has been an established fact since the beginning of time. Creating quality content is something which you as a marketer should focus on, for everything else you have the plugins. These plugins enhance your current WordPress development solutions and help you place your content on the zenith from where it can be noticed. This is one of the best WordPress SEO plugins you will get out there. You will majority of companies and individuals using Yoast SEO. It is a complete content optimization suite with tons of features that helps you improve and upgrade your website overall. With MonsterInsights, you can connect your WordPress website with Google Analytics which can help you keep a close eye on how visitors find and use your website’s content. You can track your users across devices and platforms. With this plugin, you can take advantage of long tail keywords helping you understand more about your niche. From the list of keywords suggested you can put it directly in the title of your article or add it as a tag. WP Keyword Suggest is easy to use and helps you generate ideas for your post. Thousands of SEO professionals suggest SEMRush. It is one of the best SEO tools on the market allowing you to gather analytics and competitor insights to help improve your own SEO. Add comments to your sites, replacing the default WordPress comment system. Disqus real-time commenting system features voting, photo and video upload, rich media embed (YouTube, Twitter, Vimeo, and more), spoiler tags, mentions, threaded comment display, instant activity, email notifications, etc. This is an easy-to-use form builder which allows you to create simple yet elegant forms. With OptinMonster, you can create numerous campaigns including popup forms, floating header and footer bars, scroll triggered boxes, sidebar forms, after post forms, in-line forms, mobile-specific forms, welcome gates, etc. A fantastic WordPress plugin that lets you define the content templates in order to quickly apply it to new or existing posts and pages. The templates are private to the author or creator only. A simple and uncomplicated tool, Easy Content Templates helps you display your custom post or content in a unique manner. These plugins make your work easier, it takes the burden of content management and SEO a notch down. However, it is recommended that if you want to make the most out of your WordPress site, you hire WordPress developer or seek professional help since there are a countless number of features which one might not be aware of. One of the most widely used PHP frameworks today, Laravel is open-source, robust, and easy to understand. It is based on the model-view-controller design pattern and it reuses the existing components of different frameworks to create a web application. Such web application turns out to be more structured and pragmatic. The framework has a modern set of functionalities incorporating the basic features of PHP frameworks like CodeIgniter, Yii and other programming languages like Ruby on Rails. If you hire PHP developer who is familiar with Core PHP and Advanced PHP, Laravel will make your web development task a breeze. With this you can save a lot of time especially when you are planning to develop a website from scratch. The latest version to roll out for Laravel is 5.8. Each new update has got us excited and asking for more. Laravel 5.8 continues these improvements made in Laravel 5.7 by proposing has-one-through Eloquent relationships, improved email validation, convention based automatic registration of authorization policies, DynamoDB cache and session drivers, improved scheduler timezone configuration, support for assigning multiple authentication guards to broadcast channels, PSR-16 cache driver compliance, improvements to the artisan serve command, PHPUnit 8.0 support, Carbon 2.0 support, Pheanstalk 4.0 support, and a variety of other bug fixes and usability improvements. Laravel 5.8 can use Carbon v1 or Carbon v2, including the power to use CarbonImmutable, and even make CarbonImmutable the default. In the latest version, Localization has changed quite a bit in Carbon v2, with better internationalization support than v1. This is one of those important elements that you will need to be aware of when scaling a project. Talking about mailable, if you have them in your project and you utilize customized components using the PHP artisan ‘vendors’, publish command, the folder names have changed slightly. For example, the /resources/views/vendor/mail/markdown directory is now named /resources/views/vendor/mail/text. Since both folders can contain markdown code for making good looking responsive HTML templates with plain text fallbacks. It’s more logical to call the markdown folder text. String and Array helpers are deprecated in Laravel 5.8 update. In most of the cases, they offer little value apart from style, when compared to using the class equivalents, and Laravel plans on releasing the helpers as an optional package if you want to keep using them. A notable change in the latest Laravel version which requires special attention for future moderation is the Cache TTL Changes. Passing integers to cache methods represent seconds instead of minutes now. Laravel 5.8 has support for the ~4.0 release of the Pheanstalk queue library. You can upgrade your Pheanstalk library in your application, please upgrade your library to the ~4.0 release via Composer. 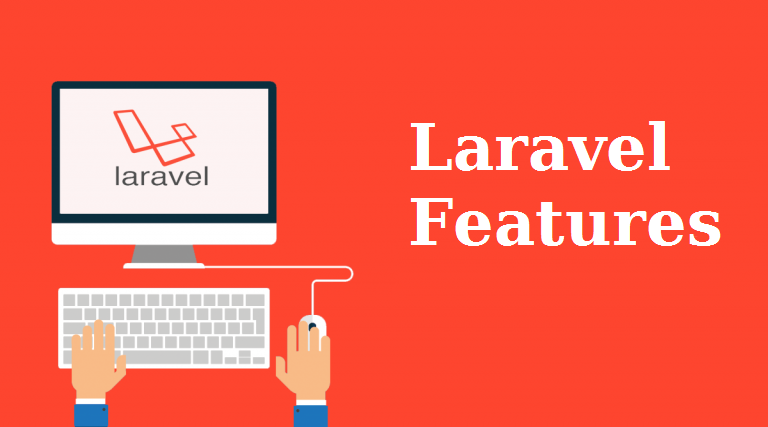 This latest Laravel update provides new error page templates or blade view. This template can be used for a default 404 pages. Laravel 5.8 will now support the relatively new dotenv 3.0 to manage your project’s .env environment file. In order to develop an inveterate and durable website, one needs to hire dedicated PHP developer who is well-versed with the latest concepts, one who understands and implements these concepts well into the product life-cycle. On the contrary, as a PHP developer, it is your inevitable duty to stay up-to-date with the current trends. After learning about content management systems during his academic years, Niels Hartvig decides to make the first sketches and prototypes to a simple framework for building and maintaining websites way back in 1999. Fast forward to 2003, Umbraco v1 was announced with a combination of classic ASP, COM objects written in VB.NET and .NET web services written in C#. In 2019, Umbraco has already managed to gain momentum and is a preferred Content Management System (CMS) among others. As a common practice, websites and it’s content are managed using the back-office or admin section. But, since we now have REST APIs, we can use Umbraco to manage content for all sorts of applications too, providing endless opportunities. Umbraco today boasts of a strong community with over 220,000 developers using it to build the websites. Umbraco is gaining popularity with time. Currently, there are close 100k websites running on Umbraco CMS. The core functionality of Umbraco is familiar and generous. For someone like content editors, designers, and developers, Umbraco CMS is easy to grasp. Getting Umbraco up and ready, is like a breeze. With Umbraco, editors can easily create, edit, delete, and organize the content. In the editor, you will find the content organized in a tree-like structure, providing a hierarchy which makes it easy to find your provided content. No licence costs and free updates for the entire life of the project. That’s the benefit of going for an open source content management system. While a few of the competitor CMS have got costs that extend to thousands of dollars just for licencing alone. And here we have Umbraco with no license costs that allows you to spend your money where it matters. You don’t need to waiting or pay for the next software release before you can get the latest updates with Umbraco CMS. It is an entirely cloud-based content management system where you can save yourself from the burdens of installation and bug fixing. Cloud ‘was’ the next big thing a few years back. But today, it is an essential process for most companies to function seamlessly. It doesn’t matter if you have a full battalion of web development and web design experts on your side or are a lone-ranger in designing a website on your own from scratch, with Umbraco, you can fulfill all of your custom branding and design needs. Since it is open source, the Umbraco source code is available to your Umbraco development company or the team to modify; allowing them to create the brand, content and functionality experience that your website requires. With the help of Umbraco, you can setup as many sites in one single install as you wish to. Even though there are cases where some users experience reduced speeds in their content management system, there has been a proven cases where 40+ different high traffic sites have been implemented from a single Umbraco installation. Umbraco, though is the new Joe in town, but he comes with a lot of research and study. 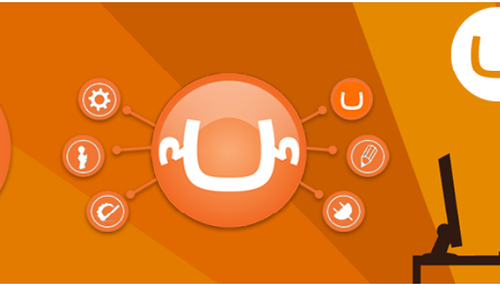 Users are gradually choosing Umbraco for their website development without hesitating. Learning from the experience and the environment around it, the community and developers of Umbraco have put forward a fantastic CMS with some of the most amazing features. Big Data is changing the world. All things considered, it is truly valid. The role of Big Data in the healthcare industry is the ideal case of revolution. Changes in administrative controls and healthcare services conveyance models are changing the business' elements. Similarly critical is the profoundly developing hunger for information. Heavy stream of information is significantly changing the healthcare industry from various perspectives. Healthcare Management Software Solutions are not just about enhancing primary concern results or expanding benefits, yet about enhancing personal satisfaction, foreseeing threats and enhancing one’s live. Information is driving the mission to comprehend persistence in a superior way, getting indications and flags as ahead of schedule as conceivable to treat genuine disease. In the previous decade, the human services industry has seen immense advances in the measure of information gathered, just as deliberately utilizing huge information innovation to customize persistent consideration. How Big Data Analytics Can Play important Role of Big Data Analytics in Healthcare Industry? Big Data Analytics is changing the world. All things considered, it is actually valid. The job of big data analytics into the healthcare industry is the ideal case of this innovation. The healthcare industry is encountering finished interruption. Substantial deluge of data is drastically changing the healthcare industry from multiple points of view. Healthcare management software solutions are not just about enhancing main concern results or expanding benefits, yet about enhancing personal satisfaction, anticipating disease epidemic and enhancing personal satisfaction. Information is driving the mission to comprehend understanding in a superior way as ahead of schedule as conceivable to treat genuine illness. In the previous decade, the healthcare industry has seen enormous advances in the measure of information gathered, just as deliberately utilizing big data technology to customize solutions. Looking to implement big data solutions for better patient care or streamlined operations? Get in touch with our team for details. Get Quote! For a long time Virtual reality has been neglected and ignored. There are a few reasons because of which Virtual reality failed to pick up market footing since 1990s. However, circumstances today are different. Technology evolution is assisting makers and designers to reshape Virtual Reality with smartphone innovation and systems. Virtual reality (VR) programming is ending up increasingly more advanced as clients can associate with the virtual condition through numerous advancements. 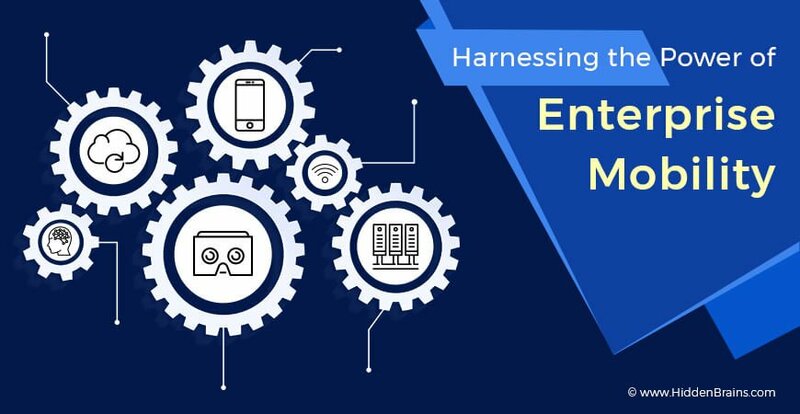 Discover true execution of Virtual Reality in various industries. There are a few reasons which are testing the typical healthcare services. Factors, for example, growing expenses of healthcare, maturing populace and shortage of trained physicians are driving healthcare providers to utilize the intensity of technologies to beat difficulties. Gone are the days when training was confined to books and simply hypothetical sessions. In this day and age, training is tied in with making drawing in learning background. With headway in innovation, teachers are searching for various strategies to move learning in successful way. Real Estate is an industry that is continually enhancing with innovation for proceeded with progress. One innovation that is making waves in the real estate industry is virtual reality application development. Virtual reality is helping operators to visit a few home in a shorter time frame, expanding deals effectiveness and associating with increasingly potential purchasers. 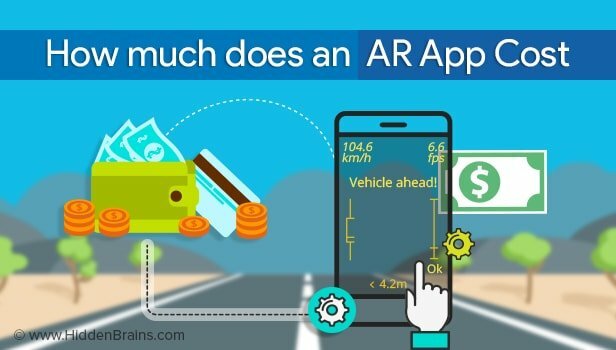 Are you looking to develop applications using immersive technologies ? 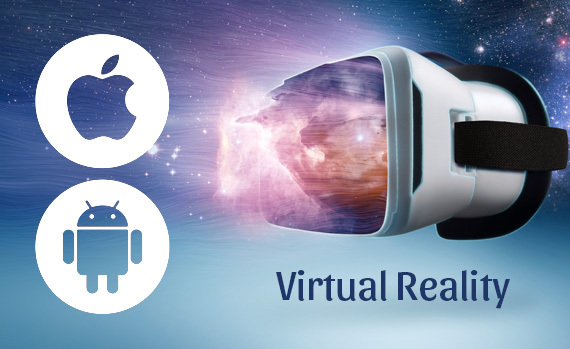 We are leading virtual reality app development company, Contact us now! Back in the year 2008, Apple had released the iPhone SDK 2.0 which created a revolution in software development, and an entirely new breed of developers and software services were born. We now know them as iOS developers and iOS Objective-C and iOS Swift app development services. People had previously never used Objective-C before, and that was the first challenge that was thrown by Apple. Though it had an unfamiliar syntax and manual memory management, it became successful and populated the App Store with tens of thousands of apps. Add to that another 6 years of improving and working on Objective-C, Apple threw in another challenge at developers. Once again, iOS developers had to learn an entirely new language: Swift. This new language removes the unsafe pointer management and introduces powerful new features, all the while maintaining the interaction with both Objective-C and C.
Objective-C, as we know it today, is an essential programming language utilized by app development companies programming for OS X and iOS. We can call it as a superset of the C programming language; it gives object-situated capabilities and a dynamic runtime. Objective-C carries the legacy syntax, crude writes, and stream control explanations of C and includes syntax for defining classes and strategies. It also has language-level help for object diagram administration and objects literals which provide dynamic typing and binding, deferring numerous obligations until runtime. Swift is another programming language for iOS and OS X apps, largely in use today. Be it a Swift developer or a Swift app development company, you ask them and they will jot down numerous reasons for why they love this language so much. Swift first got introduced in June 2014 and gradually expanded on the best of C and Objective-C, but, without the constraints of C compatibility. Swift packs safe programming examples and adds present-day highlights to make programming less demanding, highly flexible, and more fun. It is a clean slate language supported by the developed and much adored Cocoa and Cocoa Touch frameworks. In Objective-C, the string control, class division and string concatenation require more coding and involves writing dull proclamations. On the other hand, in Swift, the length of coding is drastically reduced with the help of more and more operators. Necessarily, the need to remember the token is reduced with the help of string interpolation where factors can be directly inserted in line to the string. The probability that an app will crash because of request botch up is reduced with type inference framework. Talking about Swift, it is a highly interactive language. With Swift Playgrounds, developers are introduced to great new opportunities. One can test their code on the spot without compiling big pieces of it or creating the whole app. The Playgrounds also visualizes data, thereby letting programmers quickly check and correct everything along with further development. On the other hand, one flaw about Objective-C is that, it is harder to learn and there is less number of Objective-C programmer available. Objective-C is a distinct language that differs in syntax from other programming languages. The memory management is complex and has the legacy necessary to be understood by C and Smalltalk. This makes Objective-C create a higher barrier for new developers because of complicated syntax and coding conditions. If you are someone who is planning to create an app and deploy it in the market, you would want it to be stable and secure. In recent times, an application’s data security is an important characteristic for a successful, long-lasting product. The design of Swift has enabled it to exclude and avoid mistakes with the help of its features – generics, options, and type interference to achieve app stability. This makes the apps that are developed in Swift are less prone to bugs and crashes. The picture today is quite clear, no matter what amount of research you conduct online. Major app developers and qualified appreneurs will tell you that when it comes to market share, Swift is the clear winner. Due to its large amount of benefits and user-friendliness, it has become the programming language of choice for major iOS Swift app development services. This beta version adds SASS (Syntactically Awesome Style Sheets) backing for the Bazel build tool. The running version release of Angular is Angular 7.2. Angular grants dependency injection, which comes in handy for assembling data services for applications. You can also use it as an HTML template to compose similar components. As an AngularJs development company, the need to stay updated about the latest features. 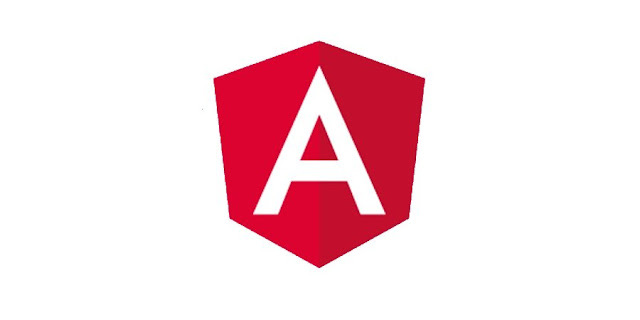 We bring you some of the most important features and updates you can expect from Angular 8.0. Since there is SASS backing for Bazel, the rules are connected to the workspace for a project requiring the SASS extension to CSS. Now, with SASS, developers can easily write visual styles for a client side project with modern language compiled to CSS. For the forms, the new version will have a control and the descendant controls can now be marked as touched or afflicted. For Bazel, there is now a bug fix where the node memory limit for ng-module has been increased that curbs out-of-memory or OOM issues with large modules. Also for forms, Angular 8.0 exports NumberValueAccessor and RangeValueAccessor directives. For the compiler-cli, generated SASS/LESS (Leaner Style Sheets) files are resolved to .CSS inputs. The new Angular 8.0 comes with a shared DomElementSchemaRegistry instance which improves the performance for @angular/platform-server. Previously, the ServerRendererFactory2 used to create a new instance of DomElementSchemaRegistry for every request. This proved very costly. The problem has now been solved. There is another bug fix for Bazel where a project created by the schematics would not compile if the project used to have a routing module. We can expect Angular 8.0 to release around March or April 2019 and the production release will be due one to two months after that. The latest Angular 8.0 beta is available to download from GitHub. Now, in order to understand the new features more clearly we have to compare them with the current or the past features we have been working with. The current version we use was released back in January 2019. There is an addition of pathParamsOrQueryParamsChange mode for runGuardsAndResolvers providing an option where guards and resolvers will ignore the changes to the matrix parameters. These Guards and resolvers rerun when the path changes, or the path parameters change, or if the query parameters change. Current version allows for passing of state to routerLink directives, along with passing of state to NavigationExtras. Angular 7.2 has an ng-schematics efficiency for the Bazel build tool. The Schematics are used to build a project with an ng new command. And, the version 7.2 also has bug fixes for Bazel, the router, and the core of the framework. Want to build your own website using Angular? That probably might be the most endearing decision you will ever make. You can easily hire Angularjs developer today and start turning your dream into reality. AngularJs framework is future-proof and definitely a long way to go. Read Also: Why are Startups Choosing Node.js Development ?